Part of the Grand Massif ski fields, Les Carroz is a beautiful traditional alpine village, famous for its excellent family facilities and easy access. As well as skiing, Les Carroz is a great base to try other alpine sports, and it's less than an hour by car from Geneva. With a wide range of accommodation to choose from the best places to stay in Les Carroz vary from small apartments to luxury chalets and hotels. There are around 265kms of piste in the Grand Massif region, most of it north facing, so the snow tends to last quite well. And there are a number of snow cannons to ensure there's snow to begin with. With that much ground, there's plenty of choice for skiers of all levels. And there's a shuttle bus stopping at a number of spots in Les Carroz which take you right to the chairlift which accesses the Grand Massif. If you fancy a spot of scenic skiing there are some nice woodland runs right above the village. Or you could just relax in one of the little village cafes scattered around the main square, and watch everyone else hard at it. Non-skiers can also try ice skating, dog sledding, ice climbing, a night-time luge or maybe even a hot air balloon flight. Go paragliding with Air Passion Parapente - a wonderful way to enjoy the area's natural beauty! After a long day skiing go pamper yourself in the Aquacime spa. If you fancy an evening tipple then the Carpediem bar is a top spot. During the ski season the resort does tend to fill up fast so to ensure one of the best places to stay in Les Carroz we advise you book well in advance. A traditional wooden chalet with spectacular valley views, Les Servages d'Armelles offers the traditional charm of the most beautiful of Alpine chalets, but with elegant, modern interiors. There's also an excellent restaurant. 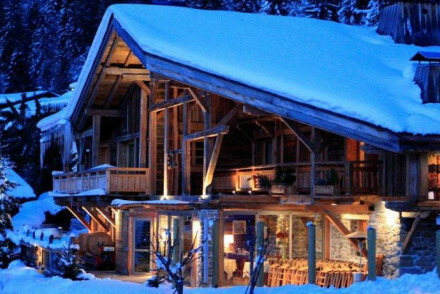 Milk Hotel is a smart chalet-style property with spacious rooms overlooking the slopes. What's more, their in-house restaurant serves up lovely Alpine cuisine. Le Totem is an uber-stylish hotel that's bound to impress. Their sleek rooms boast sublime views, whilst there's also a spa, restaurant and après-ski bar to enjoy. Villa Rose is ideal for those wanting something a little different, with its chic boutique aesthetic and funky interiors. With five rooms, it's also a fairly intimate stay. If you're coming from abroad then consider flying into either Geneva Airport, one hour away, or Grenoble Airport, an hour and a half away. Those wanting to ski should come to Les Carroz between December and March, but if you fancy hiking around the area then summer's your best bet. The weather's usually at its nicest in July and August, hovering between 17-20°C. If you want to explore more of the surrounding area then hire a car with Rentalcars. Browse through our list of all the best places to stay in Les Carroz. Widen the net to include our recommendations in nearby Chamonix or Morzine. Pleasant chalet-style hotel on the slopes of Les Carroz. Rooms are spacious and comfortable with balconies looking out over the mountains. After a day's skiing, enjoy apres-ski at the hotel's bar and french Alpine cuisine in the restaurant. A great slopes-side option. Romantic Break - A charming chalet with chic and warm interiors, fantastic views, and a vibrant apres ski scene on the terrace. 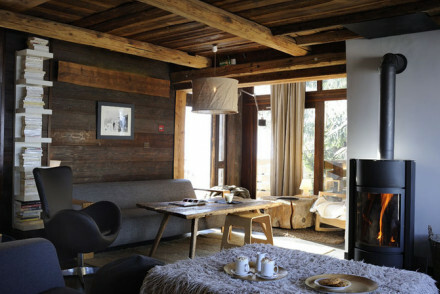 A lovely wooden chalet with spectacular valley views and contemporary chic interiors. Rooms and suites have white washed walls, large bathrooms, and private balconies. Delicious food, in-room treatments, cosy fireplaces. Family friendly too.